Heavy Planet : Discover Your Next Favorite Band on Heavy Planet! Discover Your Next Favorite Band on Heavy Planet! The staff at Heavy Planet is passionate about music and we dedicate much our free time to bring you more music than your 1 TB Hard Drive can handle. If this is your first time perusing the site, here is a bit of a road map. Start at the drop down box and check out Seth's Sunday Sludge. If you are a fan of the murkier side of music this is the place to go. Next, check out the "New Band To Burn One To" archives. Many of these bands were introduced right here on Heavy Planet and have gone on to achieve international success. The tour continues to Zac's Double Dose where you are treated to two very diverse bands each and every Wednesday. To hear some great new music look at the bottom of the page where you will find the Heavy Planet Radio player. Click "play" to hear some of the finest up and coming new bands from around the world. Also, check out our monthly podcast on Grip of Delusion Radio. You can listen to and download past podcasts at this location. As always, if you like the music you hear please help out the band by going to shows and by purchasing their music and merchandise. 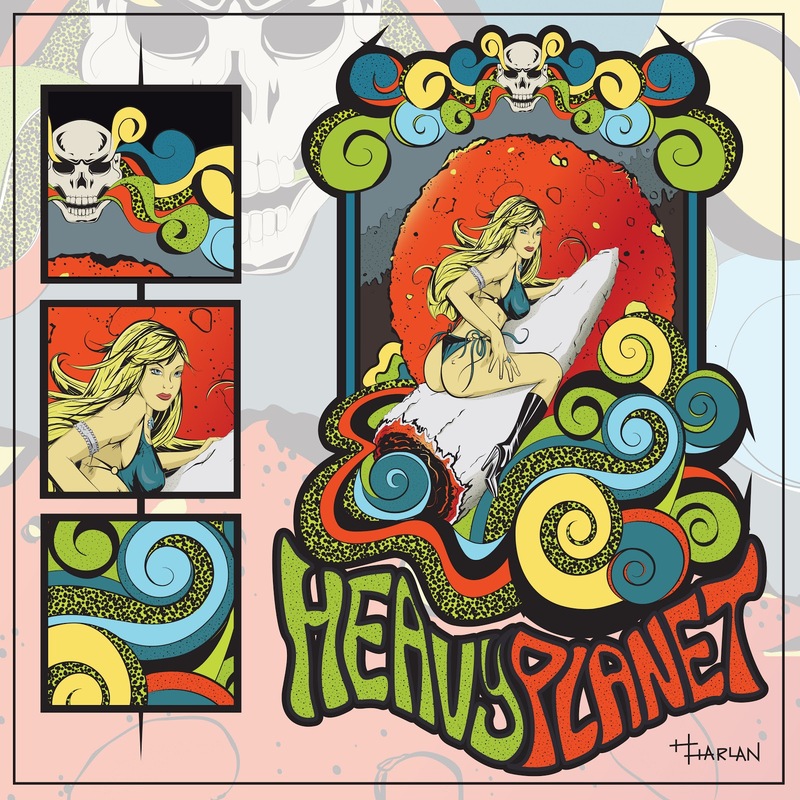 Please help to support Heavy Planet by considering a purchase of a cool Heavy Planet T-Shirt. Thank you for stopping by and checking out Heavy Planet. We hope you are able to discover some incredible bands while you visit! If you are in a band and wish to in some way be included on Heavy Planet, you can submit your band to this location for consideration.